On Friday April 8, 2016, Washington and Lee University in Lexington, Virginia, hosted the University of Virginia President’s Commission on Slavery and the University’s Universities Studying Slavery (USS) consortium. 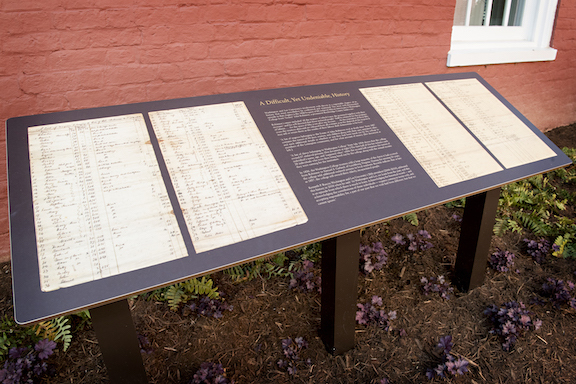 The consortium met just two days after Washington and Lee University’s African American History Working Group erected a marker in honor of enslaved laborers. Visit this site to learn more about the working group’s efforts: http://www.wlu.edu/presidents-office/issues-and-initiatives/timeline-of-african-americans-at-wandl). Representatives from several of the 16 USS member institutions gathered to discuss the politics of memorialization. Washington & Lee professors Ted Delany, Elizabeth Knapp, and Tom Camden led the group on a historical tour of campus, including a stop at the new marker named A Difficult, Yet Undeniable History. 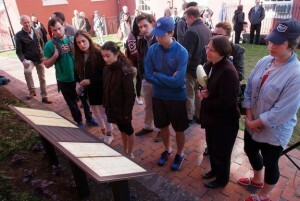 The marker is the centerpiece for a new memorial garden adjacent to Robinson Hall. The tour was followed by a panel entitled Memorials, Markers, and Monuments to Enslaved Laborers: Process, Progress, and Perceptions. 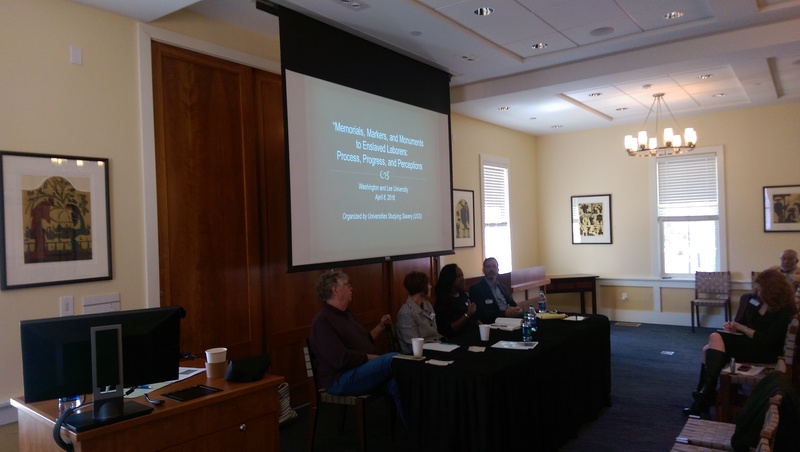 Representatives from the University of Virginia, the College of William and Mary, Washington and Lee University, Roanoke College, and Georgetown University highlighted the specific challenges they have faced in addressing the multifaceted processes of memorialization. After a rich discussion, the attendees broke into smaller groups and discussed the political issues surrounding memorialization and the current movement to remove confederate memorials. USS will meet again this summer at the College of William and Mary.